It’s a picture of a time when I had a moment. A moment where I fell in love. You know, the “he had me at hello” moment? Yes, I had it right there. This was when I fell in love at first sight and couldn’t get it out of my mind. No, it wasn’t a man, a dog, or a cat. after I used it, I couldn’t get it off of my mind. how lightweight and quick it responded. 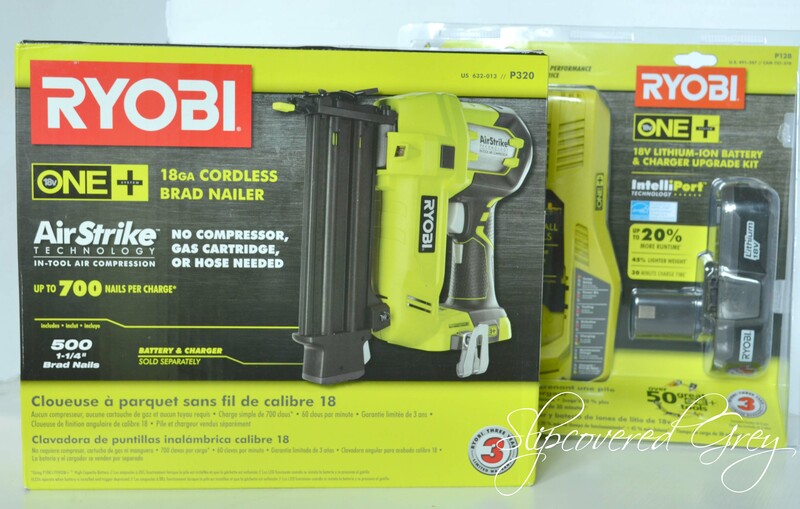 I had to have this nailer and I had to have it… NOW! 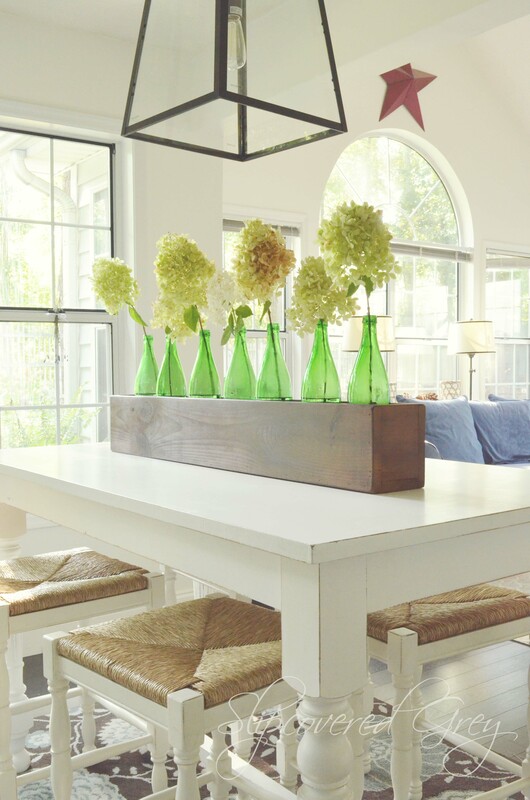 creating amazing projects and enhancing my interiors. 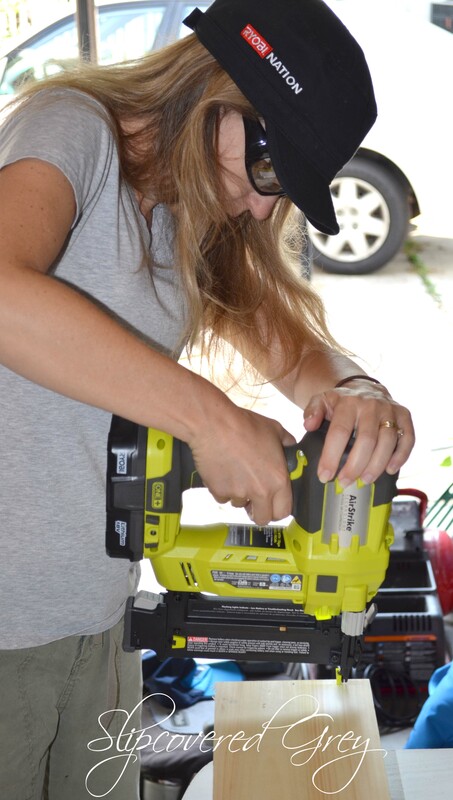 Well, thanks to Ryobi Power Tools, my dream came true. They must know there is chemistry between the nailer and me. but it’s what you “MAKE” with it that’s even better. So, today I am going to share with you why this amazing tool had me at hello. but it has LITHIUM ONE+ power. Which means there is no loud compressor with a cord to climb over as you move around. This makes it safer to move about and also makes it easier to get the job done. Imagine tripping over a cord with a nail gun in hand… not a good scenario indeed. That brings me to another great feature of this Brad Nailer. or the safety interlock will not disengage. LED light immediately lit up the surface. I also enjoyed how lightweight it is… only 5 lbs. For my project I chose the Single Contact Actuation Mode for more precision. He won’t give you the tool back. He’ll be playing with the dials – adjusting and regulating the air pressure and depth of drive. I am telling you, it’s addicting! I think he’s in “love” too. I could tell you more, but you have to get your hands on it and try it for yourself. You’ll see… and when you do, I want to hear your love story! I bet you want to see what I made with my amazing Nailer. I created a box for my kitchen table. 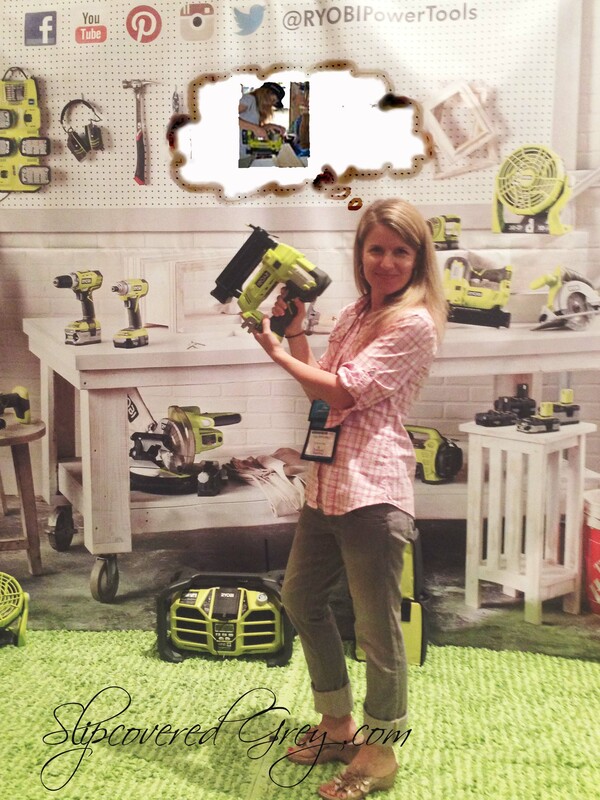 I want to thank Ryobi Tools for making my daydreaming a reality! I think the chemistry is great, and what we made is super cool too. I also want to Thank YOU for letting me share my “Love Story“. This is just the beginning of what I have in mind to create with this Nail Gun. Ryobi Tools can be purchased at the Home Depot. 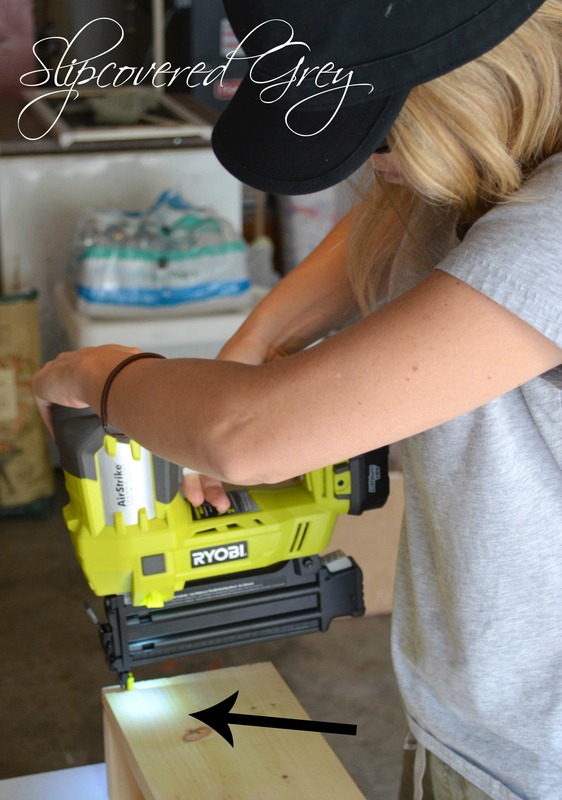 For more information, you can check out the Ryobi Nail Gun here. I’d love if you’d follow me! I love this tool too! I loved using it at Haven. You’re right it is super easy and so much fun! I love your box; it looks great on your table! The Air Strike is on my must have list! I have old pallets that are calling it’s name! my Christmas list………no jewelry for me this year!!! LOL!! 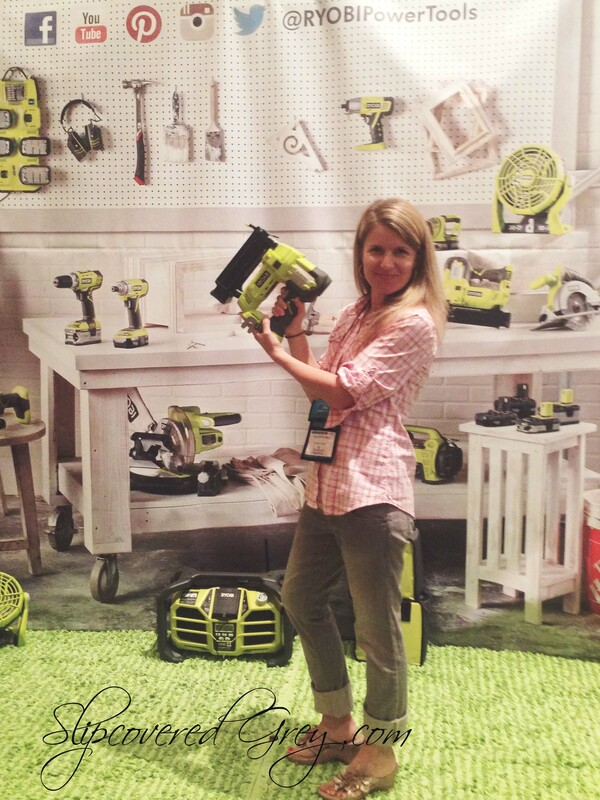 I am with you… jewelry is overrated, especially when you can have a power tool like this one! 🙂 When you get it, you will have to share with me how much you “love” it too. So, I just discovered your blog…love it…(angels were singing those last words!). And I cannot believe you have this tool on your website. I have been eyeing this. I actually work at “The Depot” and they just got it in my store. It was in another store close to my home and I have been debating back and forth, “should I or shouldn’t I?” I thought I could wait to purchase, but no. I am sealing the deal. That bad boy is mine by the weekend!!! Dawn, I love when the angels sing! 🙂 Thank you for the kind comments. 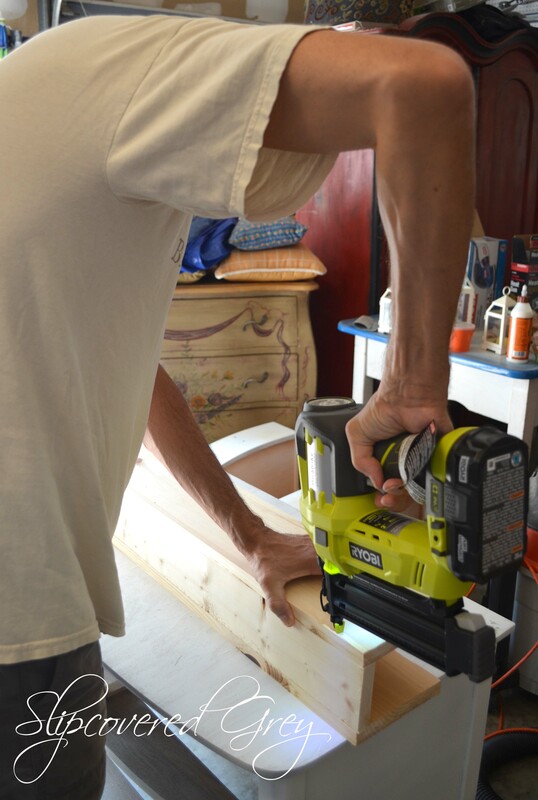 I love, love, love this power tool! It truly makes projects so much easier. You will love that little bad boy!